All revved up and red hot, STRAY CATS are back. 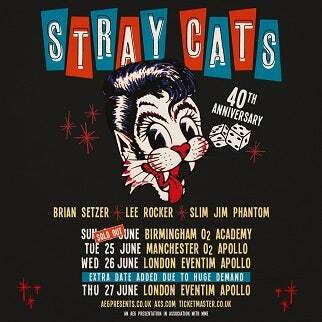 Brian Setzer (guitar, vocals), Lee Rocker (bass, vocals) and Slim Jim Phantom (drums, vocals)--original founding members of the iconic and acclaimed American rock and roll trio--are celebrating their 40th anniversary in 2019 with a new album and UK tour. 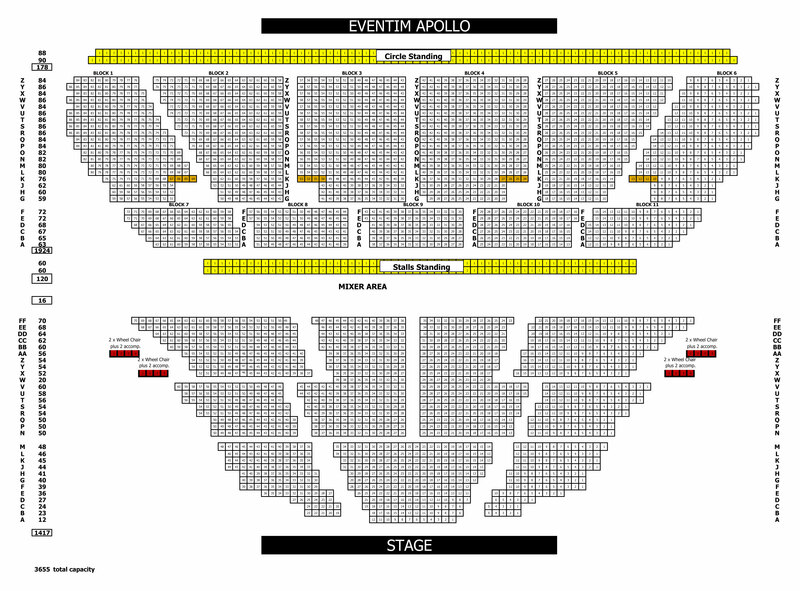 They will be playing special shows at London’s Eventim Apollo on Wednesday 26 and Thursday 27 June. Tickets go on sale at 9am for the second date on Friday 8thst February 2019. STRAY CATS have titled the album 40. Marking their first new album in 26 years, it will be released this spring (exact date TBA). The guys recorded 40 at Blackbird Studios in Nashville in late 2018 following their first North American shows in 10 years, with four concerts including sold-out headlining shows in Las Vegas and the Pacific Amphitheatre in Costa Mesa, CA before wildly enthusiastic audiences. Still buzzing from the thrill of playing together again and crowd response, they went into the studio with with producer Peter Collins (Rush, Bon Jovi, The Brian Setzer Orchestra) and engineer Vance Powell (Jack White, Chris Stapleton, Arctic Monkeys). There are a dozen original songs that comprise the album.